Get Involved With These Issues! Make your voice heard and protect our animals who need your voice. TOMORROW … NO-TODAY - get to it NOW!!! There’s no time to take a breath …. Let your position be heard! Ad Standards has confirmed that a misleading transit ad campaign paid for by the Dairy Farmers of Canada has been taken down! The advertisement claimed “there are zero growth hormones in milk produced in Canada”, but this is false. IGF-1 is a naturally occurring growth hormone that is present in all cow’s milk, which helps turn baby calves into thousand-pound adults. 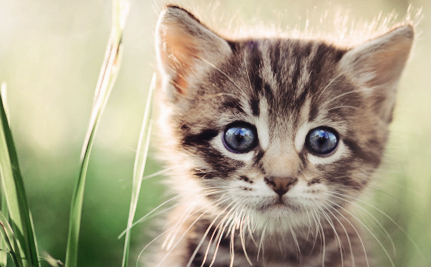 Remember how we told you that the USDA was killing perfectly healthy kittens in Beltsville, Maryland, just because they didn’t need the kittens after getting a simple stool sample? Thousands of NEAVS supporters asked Congress to intervene, and it worked! Congress passed language directing USDA to end this practice and adopt out the animals instead. This language was included in the bill Trump signed to keep the government functioning. Action Alert! Please Sign the Petition! 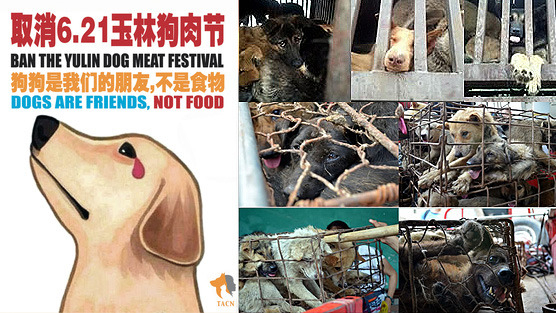 Guangxi Zhuang, in southern China, is home to the Yulin Dog Meat Festival. 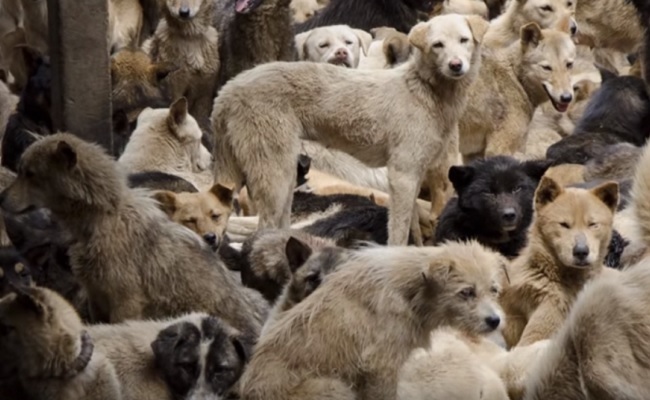 During this time, more than 10,000 dogs and cats are killed, cooked and consumed for this decades-old tradition. Members of the Coeymans Police Department are shown in a video torturing a Raccoon. Help Abused Dogs: Sign Our Petition! Between the moment of rescue and the happily-ever-after of adoption, theres often an agonizingly long period of uncertainty in the life of a dog who was used for fighting.Too many of these innocent victims are held by the government for months or years while court cases drag on.Even with the best care, many deteriorate as their stress and behavior issues grow worse. We can fix this. 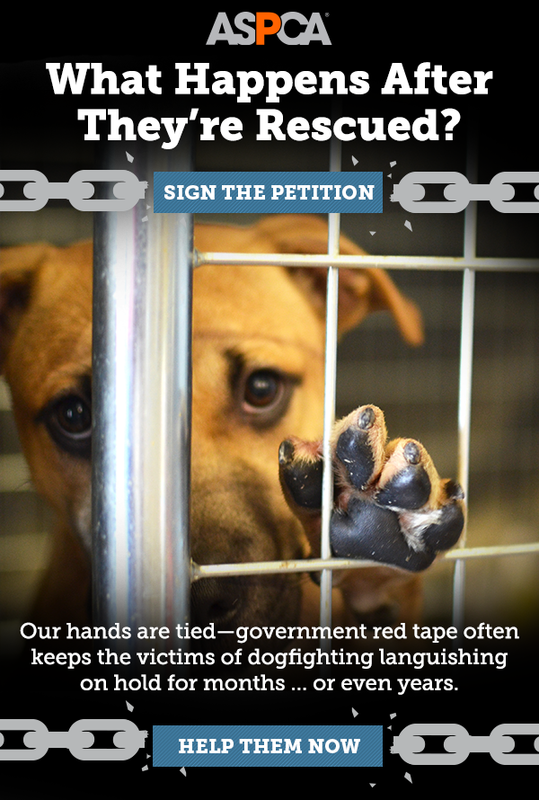 Urge the U.S. Attorney General to support the HEART (Help Extract Animals from Red Tape) Act, a federal bill that will help victims of animal fighting get rehabilitated and rehomed faster. Dont delaythese animals have suffered enough. Action Alert! Please Read and Donate! We are raising money for the 16 cats for their basic daily needs, and to get all the cats up to date on their medical needs. They all need Rabies shots, SNAP Tested, and all other necessary tests so that they can be adopted out. We currently have 12 cats in Foster homes. We still are working on remaining cats out of Mel's house. 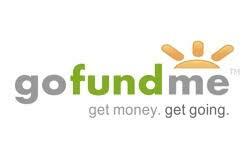 We are asking everyone to please help Donate any amount of money. If your unable to Donate, able to donate your service such as transport, or Foster care for the remaining cats, and networking the cats to get them into forever homes. Just want to donate Supplies we would be grateful. As of 2/22/2018 - We are up total of 18 cats we trapped 3 more cats which are going to vet today. We need as much funds as possible to help pay for their veterinary cares. 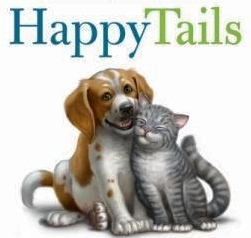 We are working with Animal Lifeline Corp. and PAWS - Pioneers for Animal Welfare Society! Action Alert! Please Read and Take Action Now! Will Florida Finally End Greyhound Racing for Good? 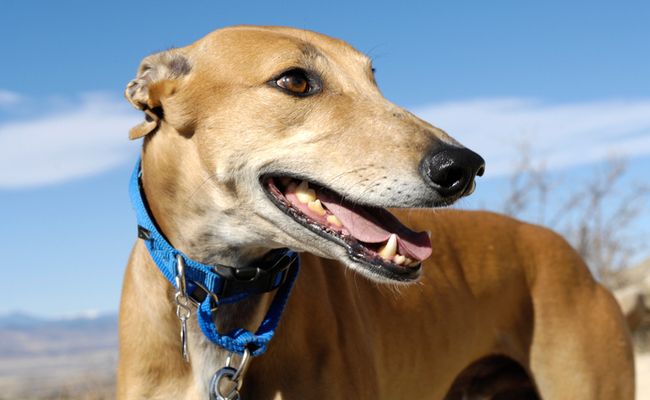 Florida has never been closer to eliminating greyhound racing than it is at this moment. If activists can push hard enough in the next few weeks, the cruel practice might just become illegal. At the moment, a proposal is on the table to outlaw greyhound racing in Florida completely by the end of 2019. Each year, pigs are being killed in Advanced Trauma Life Support (ATLS) courses at Baystate Medical Center in Massachusetts. They need your help! At Baystate, trainees are instructed to make incisions and insert tubes and needles into a pig's chest cavity, abdomen, throat, and the sac surrounding the heart. If the animals survive the invasive procedures, they are killed following the training session. Innocent pigs don't deserve to suffer and die through this horrific practice! It's wrong, especially when there are superior, nonanimal training methods available. Every other ATLS program in Massachusetts uses only human-based methods for trauma training. Sign the petition below to Baystate Medical Center staff now! Urge them to immediately replace the use of live pigs in the hospital's Advanced Trauma Life Support courses. One could argue, the true value of protecting an innocent dog’s life is priceless. In the spirit of protecting countless animals, will you consider chipping in as a Change.org Animal Protector? Your monthly contribution will go toward powering a wide range of animal petitions on Change.org — campaigns that protect the welfare of innocent dogs, cats, farm animals, and others. 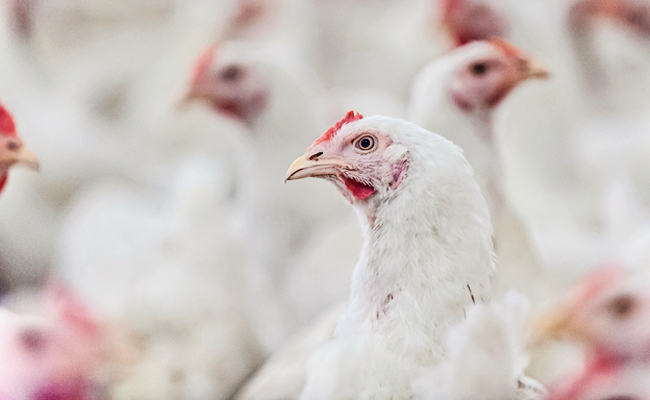 The term “free-range” might conjure up images of chickens enjoying fresh air and sunshine, and feeling the earth beneath their feet as they roam grassy fields, but another investigation has brought to light a starkly different reality. This week, In Defense of Animals, along with Australia’s Seven News, released an investigation that has exposed the disturbing conditions of chickens raised on a free-range farm in Perth. Mt Barker Chicken’s facilities certainly don’t line up with what might be expected — or what was advertised. 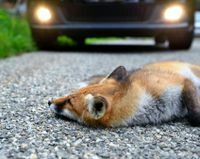 This is an important topic in the field, and with good reason.Take a look at these 10 great examples of how your colleagues have gotten out the word about the dangers of animals in hot cars.Add a comment and tell us how your shelter is spreading awareness. Bonus: Grab this nifty infographic to share on social media. For years, activists have worked hard to put an end to this terrible event, and finally their efforts are apparently paying off. Yulin will reportedly ban the sale of dog meat during this year’s festival, scheduled to begin June 21. . 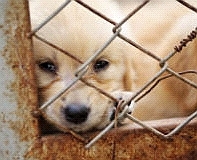 Animal advocates have been working tirelessly to raise awareness about the cruelty of puppy mills. But unfortunately, mills are still a problem across the nation. For the fifth year in a row, The Humane Society of the United States (HSUS) is shining a light on this issue with the release of its Horrible Hundred 2017 report, which highlights some of the worst offenders operating these mills, in addition to many of the problems that go on behind the scenes. This year, however, their effort to research breeders was seriously hampered by the lack of records available. In February, the U.S. Department of Agriculture (USDA) removed animal welfare inspection and enforcement reports from its website, and while the agency restored some of what it removed last month, there is still virtually nothing available on breeding operations. Action Alert! Please Read and Sign the Petiton! Thanks to the work of undercover investigators we’ve seen what happens behind closed doors of slaughterhouses that raise and kill cows, pigs and chickens. Now we’re getting a first-ever look inside of a lamb slaughterhouse, and it’s every bit as horrifying as you would expect. The shocking undercover footage, which was just released by Compassion Over Killing (COK), has brought to light the heartbreaking treatment of lambs at a plant in Dixon, Calif., owned by Superior Farms, which is the largest lamb producer in the U.S. 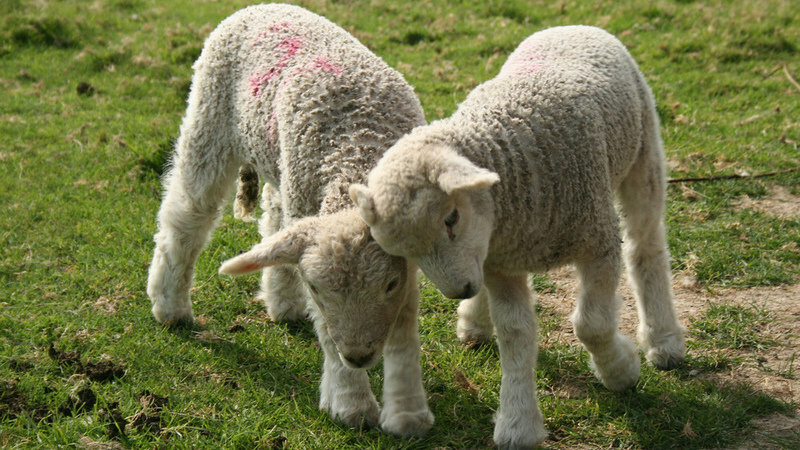 Sadly, the usual cruel treatment of animals was exposed, including lambs being violently handled, needlessly shocked by workers, bitten by a herding dog, and left like literal trash. Right now, dogs are suffering from deadly heart failure experiments at Wayne State University. They need your help! First, medical devices are surgically implanted in the dogs' bodies. Then, they are forced to run on treadmills while heart failure is artificially induced. Many dogs die during the experiments — but if not, they're killed a few months later when they're deemed no longer "useful" to researchers. 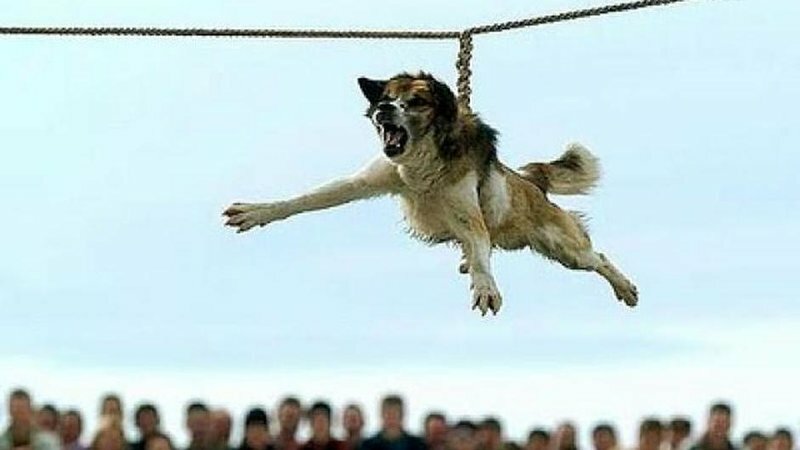 Innocent dogs don't deserve to suffer and die like this! Especially when Wayne State has made no medical advances for heart disease in its 20 years of conducting these horrific experiments! Please help stop this cruelty by taking action now. Sign the petition below to the President of Wayne State University. Urge him to stop these outrageous dog experiments now! Today, without warning, the Trump administration ordered that the U.S. Department of Agriculture’s Animal Plant Health Inspection Service immediately take offline thousands and thousands of records related to Animal Welfare Act-related entities, including research facilities that experiment on dogs and cats. This database contained inspection reports that allowed the public to see a host of law enforcement records related to the Animal Welfare Act. These records included inspection reports from facilities who were violating the law, annual reports that allowed the public to know what laboratories are experimenting on animals, how many animals are used for research, and other related information. Now the public will have not even any basic statistical information going forward regarding animal use in the United States. 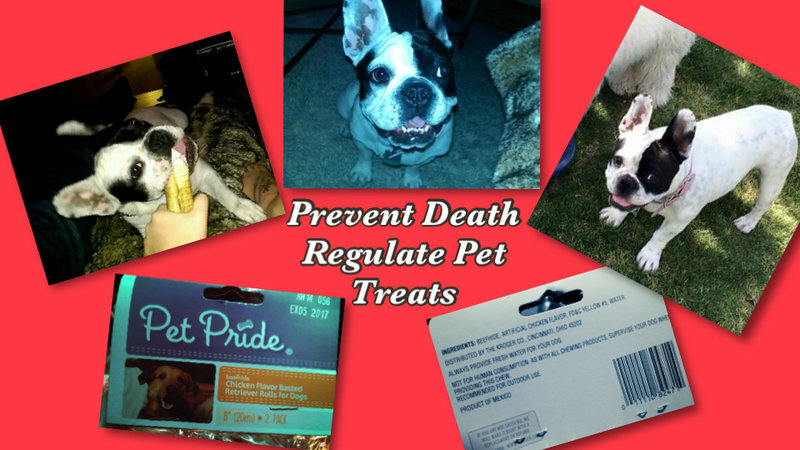 The rule also affects other regulated entities, including puppy mills, circuses, and zoos. This new rule from the Trump administration allows those who break the law to evade public scrutiny. Please help by contacting your members of Congress here and urging them to change this rule. We need more transparency surrounding animal research, not less. Read More and sign the petition! If there was any doubt that the CFIA—our federal animal welfare and food safety inspectors—are in the pocket of Big Ag, the proposed new animal transport regulations are a smoking gun. Following over a decade of lobbying from animal welfare advocates, humane societies, veterinarians, animal lawyers and other experts, the agriculture department has finally published its proposed updates to Canada’s outdated rules. The new rules are inexcusably weak. Animals would still be transported for up to 36 hours without food, water or rest; exposed to such extreme weather that many of them will freeze or overheat to death; shocked with electric prods to force them to move; and much more. Last week, I wrote in the Globe and Mail that we must do better than this, and that piece was the paper’s most discussed article online. The next day, it was included in the Globe’s political newsletter as an important issue everyone is discussing. We are getting animals on the political agenda. But we need your participation, too. Please take a moment to tell the CFIA and Agriculture Minister Lawrence MacAuley that we need to do better for animals during transport—your MP will be automatically copied, too. Read more and Send your letter now. PLEASE CALL GOV CUOMO’S OFFICE AND URGE HIM TO SIGN AND PASS THE BILL TO PROTECT THE SWANS IN NYS. CUOMO’S # IS (518) 474-8390 X 3 TO SPEAK WITH AN ASSISTANT. WE HAVE TO GET THIS PASSED THIS YEAR!!! In December 2013, the New York State Department of Environmental Conservation (DEC) released a Draft Management Plan which proposed the complete elimination of mute swans in New York State. The DEC later issued a revised management plan that calls for reducing the state's population of 2,200 swans to 800 - this is unacceptable! Action: Contact your Senator and ask them to vote "NO" on Senate Bill S5340 and Senate Bill S2953C! Speak Out Against Cruel Legislation in New York! The New York legislature is currently voting on two bills that would expand hunting and cause immense suffering to the state's wildlife, so your voice is urgently needed! Senate Bill S5340 would allow hunters to unleash packs of dogs to corner terrified bears so that the hunters could gun them down, leaving orphaned cubs vulnerable to starvation and attacks by other animals. And Senate Bill S2953C would permit snare trapping of wildlife in parts of the state! Snare traps are anchored wire or cable nooses that constrict tightly around the faces, bodies, or limbs of their victims—slowly suffocating them or forcing them to languish until they are discovered and shot. Snares are also indiscriminate and pose definitive risks to companion animals and "nontarget" wildlife. Please click here to identify your Senator and ask them to vote "NO" on Senate Bill S5340 and Senate Bill S2953C—then forward this alert far and wide! Thank you for speaking up for animals. Action: Speak up for monkeys! Sign the petition! The Brookhaven Fair in Brookhaven, New York, will feature ongoing "Banana Derby" spectacles this summer, despite being informed about the cruelty inherent in these offensive displays, for which capuchin monkeys are forced into costumes, strapped to dogs, and made to race around a track. 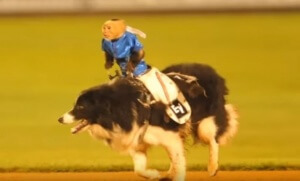 The dogs can reach speeds of up to 30 miles per hour and are trained to start and stop abruptly so that the monkeys desperately clinging to their backs are violently jerked up and down as well as side to side, risking serious physical injury. Banana Derby exhibitor Philip Hendricks has been cited by the U.S. Department of Agriculture for failure to provide the animals in his care with adequate space, environmental enrichment, and/or clean and wholesome food. Monkeys forced to perform in these so-called rodeos are frequently taken away from their mothers shortly after birth—a practice that is deeply cruel to both the babies and their mothers. Displaying monkeys and other wild animals at public venues is extremely stressful for the animals and is never in their best interests. Please send a polite note to the venue hosting the Brookhaven Fair and urge those in charge to cancel the Banana Derby immediately. Action: Please sign the petition! Provide a better quality of living for our pets! Together we can provide a better quality of living for our pets! Protect Dogs from the Cold! Our goal is to reach 50,000 signatures and we need more support. Action: Please tell the U.S. Secretary of Agriculture Tom Vilsack and urge him to improve care standards for organic animals. 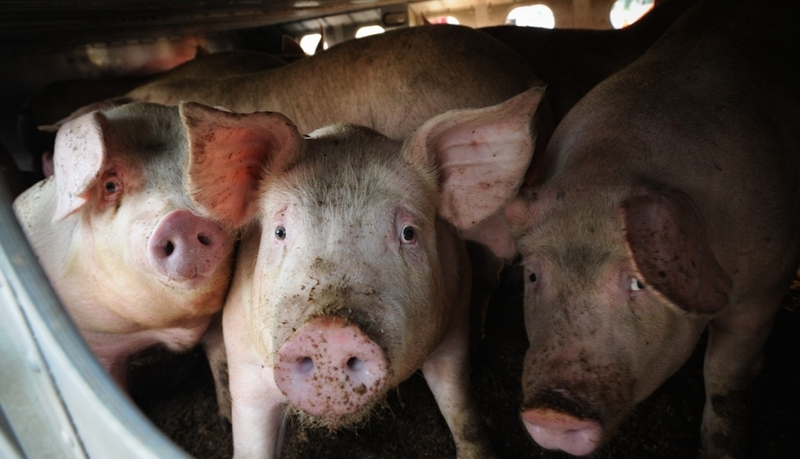 Tell the USDA: Organic Farms Shouldn't Be Factory Farms! 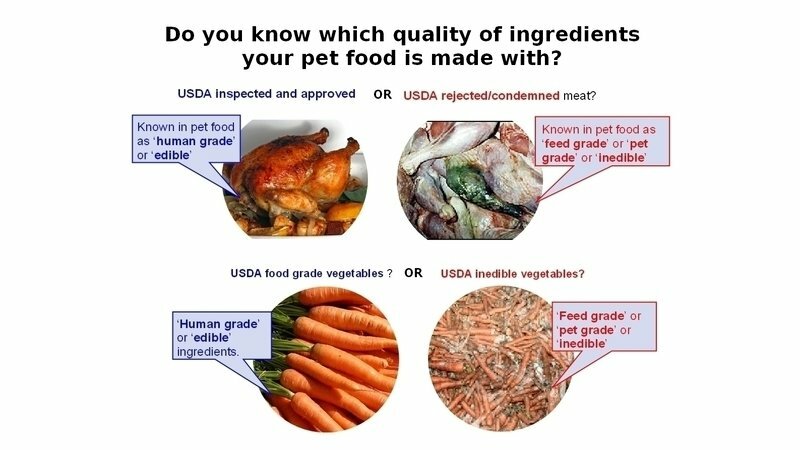 Did you know the USDA Organic label does not necessarily mean animals raised for food were treated humanely? Many organic farmers make animal welfare a priority, but the current standards are weak and allow companies to get away with barely giving animals outdoor access or adequate space. Consumers expect a real difference in how animals are treated when they buy organic products, but that isn’t always the case. This is not okay. Now is our chance to make a change! 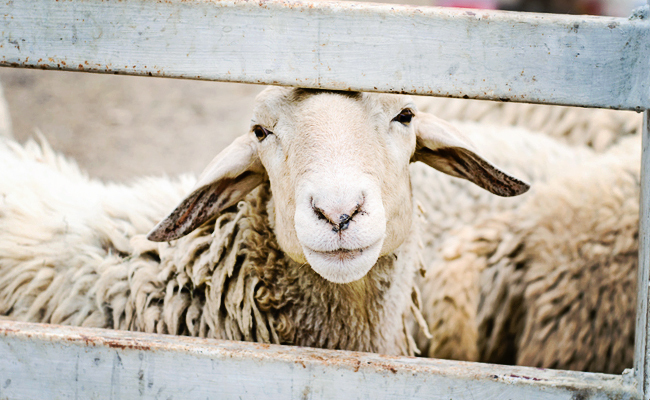 The USDA is currently reviewing its standards for how USDA-certified organic farm animals must be raised, and they need to hear that we expect those standards to be stronger. Please use the form below to email U.S. Secretary of Agriculture Tom Vilsack and urge him to improve care standards for organic animals. Even if you’ve done so already, please call and email your legislator in support of this amendment. See action steps here! A family in Maryland not only lost their house in a fire Dec. 2 – they also lost their beloved dog Precious and her puppy, Molly. Precious and Molly survived the fire. But because they are pit bulls, which are banned in Prince George’s County, where their family lives, they were confiscated and taken to a shelter. When firefighters entered the burning house, they found Precious standing guard near April Newell, her unconscious owner. She wouldn’t budge until the firefighters sprayed an extinguisher in her direction. This is the 11th hour for the Kent Animal Shelter in Calverton! The fate of the Kent Animal Shelter is at hand. Did you know the Peconic River is a New York State Designated Scenic and Recreational River under Article 15 Title 27 of the Environmental Conservation Law (Wild, Scenic & Recreational Rivers Permit Program)? The Kent Animal Shelter has received a NYS DEC Freshwater Wetlands permit and Wild, Scenic & Recreational Rivers permit for the proposed re-development project. The project meets NYS DEC standards because is calls for removal of out-dated cesspools and buildings from the shoreline of the Peconic River, restoration of over a quarter an acre of wetland buffer area and new sanitary disposal and stormwater drainage systems setback hundreds of feet from the Peconic River. 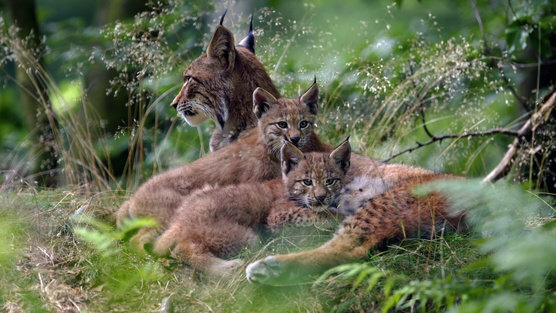 Pledge / Sign This Petition: Tell the International Union for Conservation of Nature that vulnerable species shouldn't be allowed in game hunts. The world was shocked when a wealthy American hunter, Walter Palmer, illegally killed and beheaded Cecil, a beloved and friendly lion for "sport." Cecil was lured off the wildlife preserve where he lived and murdered for Palmer's entertainment. Lions continue to be subjected to these needless hunts that stroke hunter's egos while devastating prides. Sign today to show your disgust with the barbaric practice of trophy hunting. It's time to ensure that animals classified as "vulnerable" are truly protected. Tell the IUCN that trophy hunters should not be allowed to target vulnerable species. Read more and Tell the IUCN that trophy hunters should not be allowed to target vulnerable species. We are in the midst of a poaching crisis. Unless something is done immediately to stop the ivory trade, elephants could be extinct from the wild in the next few decades. Thankfully, President Obama announced a new measure that will significantly curtail the ivory trade in the United States, the second largest ivory consuming country in the world, after China. 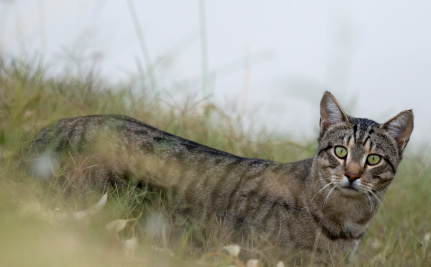 Australia has an endangered species problem and, in an effort to save their rare and diverse creatures, the government is planning to slaughter other animals: feral cats. Feral cats are hunters by nature with no understanding that they’re taking out the last of a particular species when they kill for food and sport. Officials believe that the best way to fix the situation is to murder approximately two million feral cats over the next five years. However, a new Care2 petition is calling on the Australian government to find another solution. “Pardon” All Turkeys and Celebrate Thanksgiving With a Meat-Free Meal! I recently worked inside a turkey hatchery owned by Foster Farms, the company slated to raise the “2015 National Thanksgiving Turkey.” While there, I not only saw firsthand the horrors that thousands of newly-hatched birds tragically endure every single day behind closed doors—I caught it all on camera. Although Foster Farms publicly touts its commitment to “humane” values, I documented shockingly cruel, yet standard industry practices forced upon these birds on their very first day of life. Treated like mere widgets on an assembly line, baby turkeys are jostled around on conveyor belts to various mutilation stations, where they have their sensitive beaks and toes burned off without any pain relief. NY: Please ask Governor Cuomo to sign A. 2778/S. 1081 to help our state's community cats. Help us expand community cat programs throughout New York. 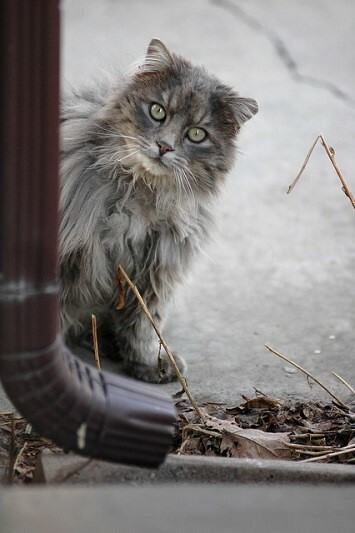 With your help, we can help save the lives of thousands of free-roaming community cats throughout our state. At this point, we know that trap/neuter/return (TNR) is the most viable, effective and humane model for regulating and controlling our community cat population. In an exciting turn of events, the state is on the brink of acknowledging this fact and we are poised to see a new stream of money to fund TNR if this bill is signed into law. Update—June 23, 2015: The U.S. House Appropriations Committee has postponed the vote on the 2016 Agriculture Appropriations bill until July. It is vital that your legislator continue to hear from constituents like you that the horse slaughter funding limitation amendment is an important issue and that he or she must vote YES in favor of the Farr Amendment to ban funding for horse slaughter. 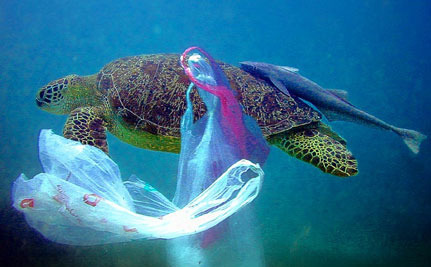 It is almost impossible to go a day without adding to the immense volume of plastic waste that is slowly destroying the planet and its inhabitants, as we’ve become so dependent on it for packaging, products, machinery, furniture, food containers, bottles and of course bags. A new, stomach-turning undercover investigative video by Mercy For Animals reveals workers at Cactus Acres Holsteins in Colorado—a Dairy Farmers of America cooperative farm—maliciously abusing animals. Please sign and share our petition today. Action Alert! Sign the Petiton! We are working to fight plans to build a giant pig factory farm in Antrim, Northern Ireland, that will house more than 30,000 pigs in what will essentially be the biggest in Ireland and the UK. 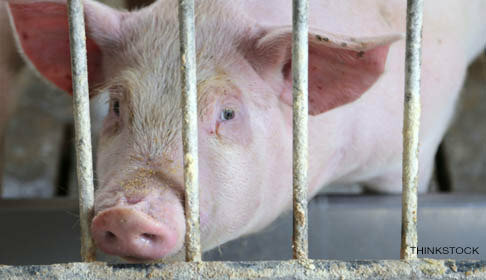 Yes, 30,000 pigs imprisoned behind bars. - Risk to human health. Confining such huge numbers of animals in this way deprives them of the ability to perform many of their natural behaviours, which can cause terrible suffering, especially in animals as intelligent as pigs. It is also impossible to monitor the wellbeing of individual animals when there are so many, meaning that any who become sick are likely to go unnoticed. Pledge / Sign This Petition: Please act immediately to stop thousands of dogs from being tortured and butchered for their meat. 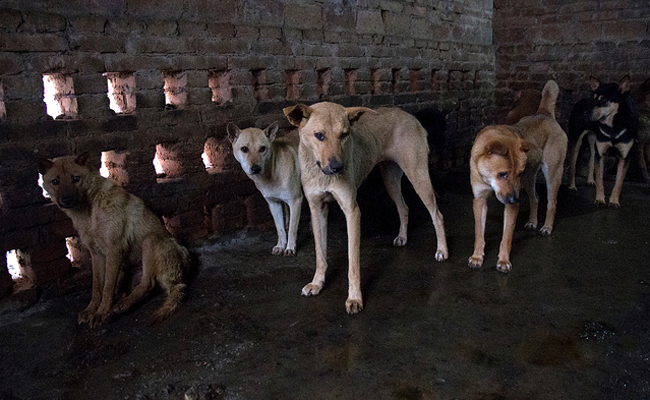 You can save thousands of dogs from unspeakable pain by adding your name to Soi Dog's global petition. It calls on Thailand's leaders to crack down hard on the criminals who profit from the agony of animals. The trade's terrified victims, many of them family pets, are crushed into cages and suffer horribly on the prolonged journey to slaughter. Animal abuse is a serious crime. Please call your state legislators today. New York's animal cruelty laws have been hidden away within the state's Agriculture and Markets statutes for decades, causing confusion for police, prosecutors and judges. The Consolidated Animal Crimes Bill (A.352/S.3201) improves enforcement by placing animal crimes under the penal code (criminal law), which is familiar, accessible and taught to law enforcement personnel. This legislation redrafts anti-cruelty laws that have gone without substantial revisions since the mid-19th century! Open Your Hearts and Send Some Love to Charle! Help End this Poor Baby's Pain and Suffering. Anything Will Help!!! Charlie needs surgery to have all of his teeth extracted. Please help us get this poor baby away from pain and suffering. Charlie is a little male stray cat that we found hanging around our house. He was lethargic,very skinny and had blood and mucus coming out of his nose. We put some food out for him but when he tried to eat he would cry. We brought him to our vet and he said he had an upper respiratory infection and Stomatitis. Stomatitis is a very painful disease of the mouth which makes eating difficult or impossible for cats. The vets said on a scale of 1-10, 10 being the worst case, Charlie is a 10+. We took him to 2 more vets, researched, and consulted with numerous others including holistic veterinarians and they all said that the best treatment for for Charlie is to have all of his teeth removed. They gave us painkillers and antibiotics to give to him in the meantime. Even with the pain that he is in he is very sweet and affectionate. 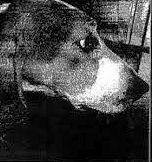 Sugar was last seen around 9 a.m. on Monday, February 23rd at East 26th Street between 2nd & 3rd Ave in Manhattan. By noon that same day, she was missing, and her owners Morgan and Scott have been searching for her ever since. If you’ve ever lost a pet, even for a moment, you know that feeling of absolute dread and hopelessness. It’s a feeling no pet owner ever wants to feel. Just over a month since her disappearance, Sugar, a spayed female Pit Bull mix whose owners rescued from a shelter, has become arguably the most wanted dog in America. Please sign our petition to the Department of Environment, Food and Rural Affairs in the U.K. government, demanding an end to this and other atrocious practices. One of the most horrific animal abuse cases of all time was uncovered by Animal Recovery Mission (ARM), where more than 9,000 animals have been found at an illegal slaughterhouse in Florida. ARM were tipped off about the inhumane practices being undertaken at a legally registered farm enterprise called Coco Farms. Led by the experienced founder of the group Richard Couto, an undercover team infiltrated the farm to gain footage of the cruel and illegal activities that were taking place. A shocking expose in the New York Times recently revealed gross neglect at the U.S. Meat Animal Research Center, which uses taxpayer dollars on "surgery and breeding techniques to re-engineer" farm animals. The Research Center, which currently houses 30,000 animals, has virtually no oversight. Researchers perform experiments with little demonstrable value but high cost to animal welfare, and allow scientists without veterinary training to perform surgery on animals. 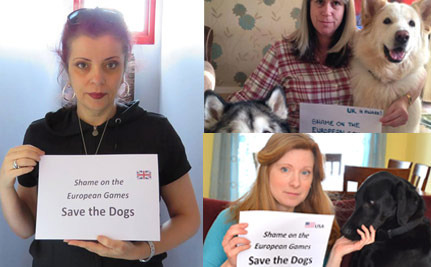 Could Storm of Protest Stop European Games City From Burning Dogs in Furnaces? Days ago, animal rights campaigner Yelena Simakina released undercover footage of street dogs being burned in furnaces in an effort to cleanse the streets of Baku, Azerbaijan, in advance of the upcoming regional Olympic events known as the European Games. With this multi-billion dollar event set to begin in mid-June, the city is becoming a shiny apple, but there appears to be poison beneath its skin. A very personal form of protest is beginning to swell on social media with participants pointing the finger of blame directly at event organizers who turn a blind eye to the suffering of the dogs. STOP eating cat and dogmeat in Switzerland! Create a law! Tomi Tomek calls from Switzerland where she is fighting against the legal consumption of dogs and cats, especially in the German Swiss mountain areas. Her group SOS CHATS is trying to stop the dog and cat meat trade in Switzerland and asks Americans to sign their petition. Big Ag wants to keep you in the dark. Join The Humane Society of the United States and animal lovers nationwide in speaking out against dangerous "ag-gag" bills by signing their pledge. Nearly 1,000 Racing Geyhounds Have Died! Since 2008, nearly 1,000 racing greyhounds have died and 12,000 have suffered injuries -- including broken legs, crushed skulls, broken necks, paralysis, seizures, and death by electrocution. And these are just the reported injuries and deaths. The vast majority of the 80,000 greyhounds born into dog racing can't even be accounted for. Seven states still have active greyhound tracks, despite the injuries, deaths, and cruelty surrounding the industry. Please call your two U.S. Senators and urge them to oppose the "Sportsmen's Act" (S. 405). Once again, special interest groups are promoting a radical hunting agenda in Congress. If passed, the so-called “Sportsmen’s Act” will undermine critical protections for polar bears and set a dangerous precedent for imperiled species in general, among other harmful provisions. TAKE ACTION This harmful bill combines several extremist hunting proposals, which seek to: a) indulge a small group of wealth trophy hunters who want to defy current law and import polar bear trophies from Canada; b) mandate that federal agencies open millions of acres of public lands to hunting and trapping without regard to the impact on wildlife and other resources; and c) strip the Environmental Protection Agency of its ability to protect wildlife and people from lead poisoning through toxic lead ammunition exposure. 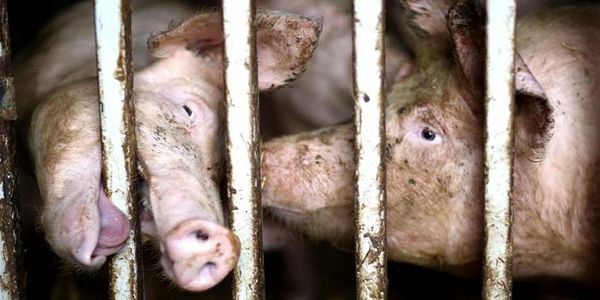 Save innocent pigs from cruelty now! Right now pigs are suffering needlessly in emergency medicine training at the University of Toledo College of Medicine and Life Sciences (UT). Trainees are cutting into live pigs to practice emergency trauma procedures — then, after the training session, the animals are killed. It's horribly cruel and irresponsible, and there are more effective, nonanimal training methods widely available! Please sign and share our petition for an independent investigation today. Captive Elephants in Seattle Need Your Help TODAY! Please sign the petition for the 2 remaining elephants in Seattle who the zoo refuses to send to PAWS sanctuary in California. I know the woman who is organizing much of the campaign for these elephants to NOT go to another zoo, Lisa Kane, and it has been a miserable existence in Seattle up to now. The zoo will be their last stop with no chance for liberty if we cannot get them to a sanctuary on this go- around. The sole African elephant at Seattle's Woodland Park Zoo, Watoto, was euthanized in August, which reignited the efforts to get the zoo to close its elephant exhibit, given that its inadequate care and monitoring resulted in the second elephant death at that zoo in seven years. Although the zoo announced that it is closing the elephant exhibit, it plans to send the remaining elephants, two Asian elephants named Chai and Bamboo, to another zoo instead of to an accredited sanctuary. Stop Long Island Farm Bureau/USDA Stealth Plan To Brutally Slaughter 5,000 East End Deer. Friends, We're desperate! We need your help to keep up the fight to end the terror and threats faced by our deer and all wildlife targeted by the DEC.
We stopped them last year---but can no longer go on without your help! Our legal fund has been exhausted fighting to halt the senseless slaughter of Long Island deer and demanding that the DEC do their job as scientists and conservationists. Hilary Bagley-Franzoia: Sacramento County DA: Prosecute Zelda’s killer to fullest extent of the law! . The man who has been on the run from Sacramento since June for allegedly tying a dog to a bowling ball and drowning it in the American River was arrested Tuesday, November 4, in Reno, NV. William Meek, 47, was being held in the Washoe County jail in lieu of $50,000 bail. Sacramento County Deputy District Attorney Hilary Bagley-Franzoia said the Sacramento County Sheriff’s Department has requested Meek’s extradition to California. Please sign and help this man take a stand against animal abuse and neglect before the December 2 date by which the prosecution must decide if it's worth wasting public resources to punish Steve for helping animals in need. Read more and Sign Roberta's petition. Oil Drilling Threatens Endangered Species! The Arctic Ocean is home to endangered whales, polar bears, walruses and more unique wildlife. Despite the fact that much is unknown about the ecosystems in the Arctic -- and that we don't have the technology to clean up an oil spill in ice-locked seas -- there are plans to allow oil drilling! Climate change has already been wreaking havoc on the Arctic Ocean and its ice flows. Oil drilling will only exacerbate the melting sea, spelling disaster for the animals that live there. Almost a year has passed since the release of an investigation conducted by The Humane Society of the United States that captured painful dental experiments on dogs behind closed doors at Georgia Regents University (GRU). It appears that these lethal experiments continue, and additional public pressure is needed to bring them to an end. TAKE ACTION We need your help to speak up for dogs! Please make brief, polite phone calls to University System of Georgia Chancellor Henry M. Huckaby (has governing and management authority over GRU) at 404-656-2202 and GRU President Dr. Richardo Azziz at 706-721-2301 and ask them to stop dental experiments on dogs at GRU. After you make your phone calls, please fill in and submit the form below to automatically send a message to Dr. Azziz and Chancellor Huckaby. Requesting that Administrator Kevin Shea, and Deputy Administrator William H. Clay, bring transparency and accountability to all of this agency’s wildlife damage control activities. Millions of animals are being killed every year by the federal agency that claims to have “leadership and expertise to resolve wildlife conflicts to allow people and wildlife to coexist.” Wildlife Services kills family pets, threatened and endangered species and other animals who were not targeted, but who are now dead all the same. This federal agency is funded by taxpayers to help protect property, natural resources, and reduce risks to humans, but it has unfortunately developed a reputation of carelessness and routine cruelty to animals. Read more and Sign this petition. 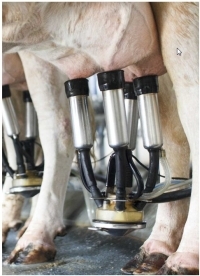 Appalling animal abuse at a Leprino Foods dairy supplier. 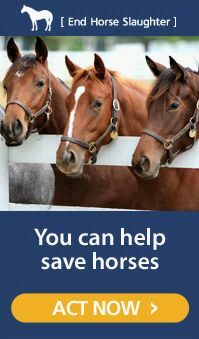 Americn Tragedy: Horses Need You Now! When we look at America's horses, we see freedom, beauty and strength. Sadly, some foreign companies see something else entirely: meat and money. Though the last U.S. horse slaughterhouses were shuttered in 2007, a legislative loophole makes it legal for "kill buyers" to purchase our horses and export them across our borders—where they are routinely slaughtered and sold for human consumption all around the world. Last year alone, over 140,000 American horses fell victim to this cruel and barbaric industry. Read more and Donate now. New York is leading the way to stop the ivory trade in the U.S.
African elephants are being slaughtered by the tens of thousands every year by ivory-seeking poachers. Recently, New York passed a state law that imposes prohibitions on the sale of ivory and harsher penalties for violators. Your state has sent an important message -- you won’t tolerate the ivory trade. It’s time for the rest of the country to follow New York’s lead. Please make a brief, polite phone call to U.S. Senator Kirsten Gillibrand at 212-688-6262 and U.S. Senator Charles Schumer at 212-486-4430 urging them to support the Administration’s plans to crack down on the ivory market in the U.S.
A new Mercy For Animals under cover investigation reveals appalling animal abuse at a Leprino Foods dairy supplier. Leprino Foods is the world’s largest mozzarella cheese producer and a supplier to virtually all of the major pizza chains in the country, including Pizza Hut, Papa John’s, and Domino’s. See the shocking hidden-camera video footage, and Read more and Sign this petition. If Canada's fishing industry would like open access to our U.S. market, it needs to stop the commercial seal slaughter for good. We have the power to stop commercial seal slaughter. Canada's Department of Fisheries and Oceans has said that it will shut down the barbaric practice when the country's fishing industry asks it to do so. Most sealers only make about 5 percent of their income from killing seals — the rest is from seafood. . Thank you all for signing our petition. We wanted to update you and ask for your continued support to help spread the word about online puppy mills. Petition Ms. Kim to take an active stance in the fight against dog meat and animal cruelty in South Korea! Ms. Kim has an outstanding record of compassion and been named a UNICEF International Goodwill Ambassador, Special Olympic Global Ambassador, Winter Youth Olympic Games Ambassador and dog owner as shown in this tour of her home. TIME has also named her one of their Top 100 Influential People. We would like to petition Ms. Kim to take an active stance in the fight against dog meat and animal cruelty in South Korea and help us officially ban dog meat there forever. business” to the perpetrator and are inadequate to act as real deterrents. 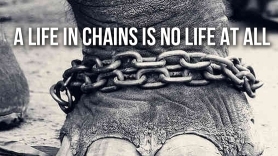 Please Help Us Stop The Suffering of Elephants, Tigers, Bears and Other Wild Animals in Circuses!! Urge The New York State Legislators To Support TheTraveling Wild And Exotic Animal Protection Act. Please sign and share the petition urging your representative to take a stand for animal welfare and public safety by supporting the Traveling Exotic Animal Protection Act. Following a few separate incidents with elephants that have gone wrong in recent weeks, including escapes from a circus and a lone elephant winding up in the Gulf of Mexico after leaving a birthday party, newly released footage obtained by Animal Defenders International (ADI) as part of its Stop Circus Suffering campaign is offering us another look at why we need to shut down elephant rides and stop using big, exotic animals at events and circuses. While taking a ride on an elephant or having them make a cameo at an event may seem harmless, the abuse they suffer behind the scenes to get them to be compliant, combined with the unnatural living conditions they’re kept in as traveling performers, leaves them paying the ultimate price for our brief encounters. Tell Animal Planet to take their “Man-Eating Super Wolves” special off the air and remove it from their website immediately. Animal cruelty must be prosecuted to the full extent of the law. At least 25 cats were found killed and some hanged in a tree in Yonkers, New York. Their bodies were in varied states of decomposition, and the SPCA of Westchester, which is investigating this atrocity, believes this has been happening for more than a year. Alley Cat Allies has offered a reward for information that leads to an arrest, but we need to stand not just for these cats, but all cats. People around the world continue to say “no” to seal products, but the Canadian government stubbornly continues trying to sell these cruel products. 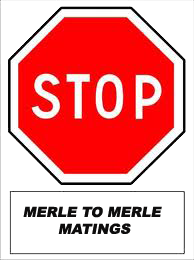 They are fighting the EU ban at the WTO and trying to overturn the ban in Russia. The bans must be defended! . Tell Canada that the seal hunt must end and that you will defend your right to say “no” to cruelty. Pledge / Sign This Petition: Stop Seal Slaughter! When you buy Canadian seafood -- like snow crabs, cod and cold water shrimp -- your money is going into the pocket of seal hunters. We must stop the seal slaughter in Canada. But how? With almost 95% of a seal hunter's income coming from the seafood industry, it's simple: boycott Canadian seafood. More than 60% of exported Canadian seafood ends up on American tables. Showing that we are not okay with seal slaughter and that we will not financially support sealers will send a strong message to the Canadian fishing industry. Stand with thousands of others and add your name to those who will boycott seafood to stop seal slaughter! Action Needed: Email the NYS Department of Environmental Conservation Bureau of Wildlife before February 21, 2014 and oppose this plan to eradicate the mute swan! Easily recognizable with their long necks and reddish-orange bills, mute swans are found up and down the Eastern seaboard and beyond in areas as far west as Montana and Utah. Introduced into the United States over 100 years ago, these free-ranging swans are adored by New York residents for their grace, beauty and elegance. Unfortunately, governments have been allowed to dramatize the environmental impact of these swans on our ecosystems while ignoring much more serious environmental issues. In the past, mute swans have been needlessly targeted for eradication in Michigan, Maryland and Delaware just for doing what swans do: protecting their offspring from predation and eating plants to survive. Now, the New York State Department of Environmental Conservation has announced that it wants to reduce New York’s wild mute swan population to zero by 2025. Nests and eggs would be completely destroyed, and while a few adults might be sterilized or permitted to live on in captivity, the rest would be killed. Use the form on this page to submit your comments on the draft mute swan plan to the Bureau of Wildlife before Feb. 21, 2014. The firefighters' oath of protecting lives still doesn't mean anything in Holley, New York. The Holley Fire Department is once again gearing up for another "squirrel shoot 'em up" event on February 22. The appalling "Squirrel Slam," a fundraiser for the Holley Fire Department, is moving forward for the eighth consecutive year despite pleas from the public to cancel it. The "Squirrel Slam" wantonly promotes the mass killing of squirrels. 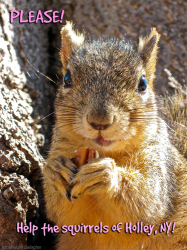 Last year prizes were given to the individuals who killed the largest and heaviest squirrels, often pregnant females and those who may well have recently given birth, leaving their young left alone to starve to death. Children as young as 14 years old will be encouraged to gun down as many of these harmless and unsuspecting animals as possible. Blasting away defenseless squirrels for fun is sickening, and needs to stop now! Take action!! Take Action: Stop the Contracted Killing of Wolves in Idaho! A hit man sent by the Idaho Department of Fish and Game may be the last thing the Monumental and Golden Creek wolf packs will see before they die. This is a massive betrayal of the public trust. Tell the USFS, the agency in charge of protecting this Wilderness Area, to immediately stop the wolf eradication program in the Frank Church-River of No Return Wilderness area. The future of wolves in Idaho is grim if we don’t act against their brutal anti-wolf agenda. In 2012, IDFG funded the aerial killing of 14 wolves, paying a bounty of $1600 per dead wolf. And now the Forest Service is letting it happen - against their own policies. Enough is enough. Tell the USFS that their reckless decision to allow entire wolf packs to be exterminated in a protected wilderness area is unconscionable. There isn’t any time to lose – as you read this, the state’s hit man is out laying his traps which by Idaho law can be left unchecked for up to 72 hours – leaving anything caught to bleed to death or succumb to exposure while waiting to be shot by the returning trapper. This is going on as we speak - time is of the essence. Please, take action immediately! Tell the USFS that it’s their duty to protect the wild in Wilderness Areas – and they must stop this reckless wolf extermination! Tell North Face to Stop Using Live-Plucked Down! As the weather gets colder, people all over the United States are putting on jackets made with goose down to keep themselves warm. But the down that went into making those coats often comes from geese that were subjected to intense pain and terror as their feathers were ripped out of their bodies. When down feathers are "gathered" from live birds, it's not like the experience of plucking a few stray hairs from your own head. The geese are held down with their heads between the knees of workers, shrieking in pain and agony as the plucker rips the feathers from their skin. If the feathers aren't ready to come out -- which is often -- the birds will be left bruised and bloody. Worst of all, the geese are forced to undergo this torture multiple times in their lives. Popular outdoor brand North Face says it's working to create a responsible policy, but its down comes from Allied Feathers, a company that news sources say gets much of its down feathers from live-plucked geese in Hungary. Clothing companies can stop supporting this torture by sourcing down from birds that aren't plucked alive. 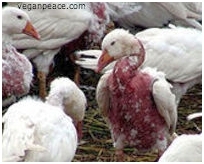 Tell North Face to stop using down from live-plucked geese! Deer will be entrapped by bait stations and then shot by sharpshooters under cover of night, from mobile units or tree stands, or captured in drop nets, and then executed at point blank range with a hand-gun. This is grotesque, extraordinarily cruel and utterly unacceptable to civilized people of conscience. The ensuing terror and carnage these animals will suffer is primitive and ethically indefensible. And this, in spite of the overwhelming evidence that immuno-contraception is effective, humane, less expensive and sustainable over the long term. We demand that this archaic plan be shelved permanently and that intelligent, forward thinking solutions be instituted that protect people, animals and agriculture while adhering to ethical and environmentally sound models. We categorically reject and protest the unethical, "quick-fix", non-science-based plan propagated by the Long Island Farm Bureau and the U.S.D.A. to cruelly slaughter and/or surgically sterilize over 5,000 deer in the five towns of Suffolk County, Long Island, New York, commencing January/February, 2014. Not only does this present an inherent danger to the public, to pets and other wildlife, but it imposes an onerous and unnecessary financial burden on taxpayers. Please take action and stand with us in our fight to save Idaho wolves: Tell Governor Otter and Idaho Fish and Game Director Virgil Moore: say NO to wolf and predator killing derby competitions. Take Action! Action New York: Urge Gov. Cuomo to Sign Pet Dealer Bill into Law! Call Governor Andrew Cuomo’s office at (518) 474-8390 to urge him to sign this important legislation into state law. Please follow up by sending our email, below. Years of hard work by animal advocates across the state is in danger of being undone - and the ASPCA urgently needs your help to stop that from happening. The long-suffering dogs in our state’s puppy mills and pet stores are one signature away from a major victory, but we are up against the clock and strong opposition from the pet industry. We urgently need your help to get A.740-A/S.3753-A, the pet dealer bill, signed by Governor Cuomo to give local governments the ability to crack down on unscrupulous dog breeders and pet stores. Thousands of pregnant pigs spent nearly their entire lives crammed into cages so small they could barely move. They couldn’t turn around, walk or even lie down comfortably. I saw pigs with open wounds and bloody pressure sores from rubbing against the bars of their metal cages or lying on hard concrete. 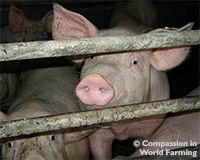 Pigs would constantly ram their heads against their tiny stalls or spend hour after hour, day after day, biting the bars of their cages out of frustration. These intelligent and social animals were literally driven mad in these hellish conditions. Kentucky: Don't Let Animal Abusers Run Puppy Mills! Puppy mill owner Dennis Bradley was charged with animal cruelty earlier this year following a raid on his home. Despite this incident, Bradley is still running his puppy mill business. Undercover video taken by the Humane Society shows six wet, shivering schnauzer puppies with matted fur crowded together in one wire cage with their mom. Bradley is asking $250-$300 per pup to remove them from these conditions. In all, Bradley has 58 dogs on his property, a dozen or more less than two months old. Most of the dogs live in rusty wire cages, lying in their own filth. Bradley clearly lacks sympathy for these dogs and is only running Dream Catcher Kennels for the money. Unfortuately, the county says they don't have the funds to control the problem. Puppy mills like Bradley's obviously hurt animals, but they cause problems for greater society, too. Sick pups reared in such conditions can cost buyers thousands in vet bills, and sick and dying animals are especially disturbing for children who receive them as gifts. Please sign the petition to convince Kentucky legislators to stop past offenders from running puppy mills! 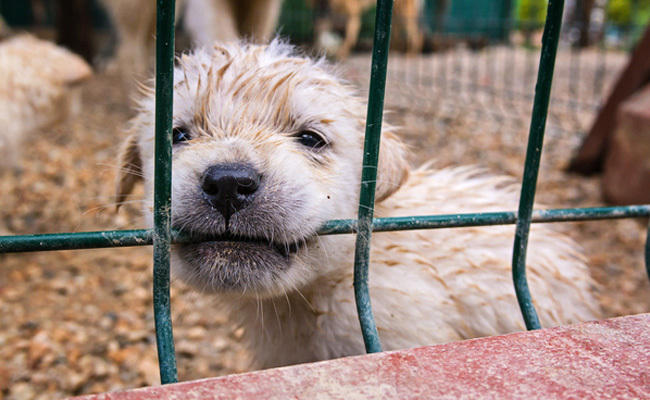 No dogs deserve to grow up in conditions like these. We have to come together to break this cycle of mistreatment. Please sign the petition to convince Kentucky legislators to stop past offenders like Bradley from running puppy mills! Pledge / Sign This Petition: Pigs Deserve To Turn Around! 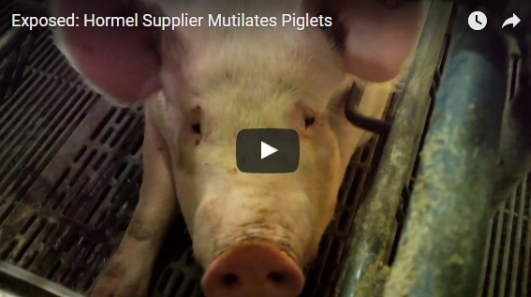 Say "NO" to gestation crates for pigs! 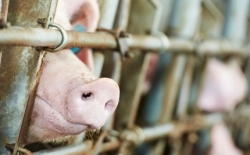 Millions of pigs live their entire lives inside gestation crates -- tiny cages about the same size as an airplane seat! This means that these pigs don't even have the room to turn around. Pigs are intelligent animals that lead active social lives when allowed. Forcing them into such confined living spaces is inhumane. Several companies such as McDonald's and Costco have announced that they will no longer use gestation crates. This is a step forward, but we need to keep fighting for a crate-free future for all pigs. Call and email your U.S. senators and representative in Washington, D.C., today to ask them to cosponsor the SAFE Act and to thank them if they are already cosponsors! 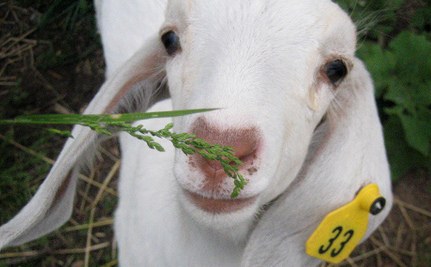 Pledge / Sign This Petition: Tell Iowa State University & CDC to STOP! 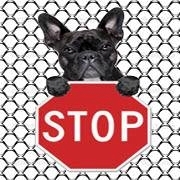 Stop Teaching How to Run a Puppy Mill! The Center for Food Security & Public Health ("CFSPH"), located at the Iowa State University ("ISU"), and with funding from the Centers for Disease Control and Prevention ("CDC"), offers an eleven-part course in Regulatory Compliance for Commercial Dog Breeders. We are appalled that the CFSPH, the ISU, and the CDC would encourage the proliferation of Commercial Dog Breeders, also known as puppy mills. It is unconscionable that these institutions would facilitate the breeding of more dogs when so many dogs languish in shelters and with rescues, waiting for permanent homes, and when millions are euthanized ever year because of oversupply. Moreover, breeding dogs in large commercial facilities is in and of itself an inhumane practice. Dogs are not crops. They are sentient, sensitive creatures who were not made for mass breeding, and for near-constant confinement. 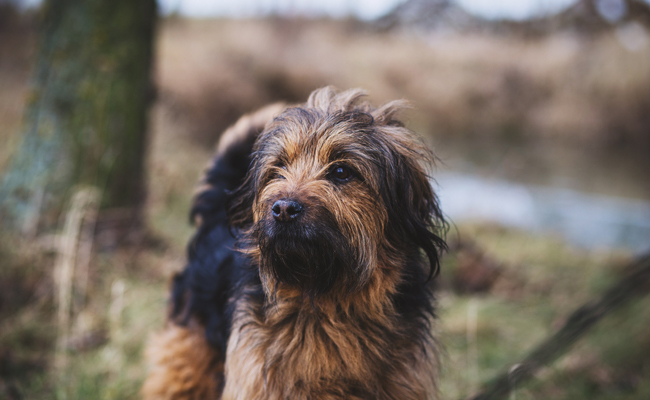 We expect that your response will be that commercial dog breeding isn't going to stop, and that it is better for the dogs if the breeders know the regulations. As long as courses like yours exist, however, commercial dog breeding is given credibility and validation. It is not a practice that you should endorse in any way, shape, or form. Accordingly, we the undersigned respectfully request that the CFSPH, the ISU, and the CDC stop offering courses in Commercial Dog Breeding immediately. The University of Oklahoma laboratory allegedly used 9-volt batteries to shock dogs to death. It's bad enough when dogs and other animals are used in science experiments. But at the University of Oklahoma, researchers allegedly electrocuted dogs to death using a nine-volt battery applied directly to the dogs' hearts. According to USDA documents, the University of Oklahoma Health Sciences Center used "improper methods" of anesthesia when experimenting on the dogs -- and animal rights groups say they didn't use any at all. This means that these dogs, who probably never got to feel the sun on their faces or grass under their feet, suffered terrible pain as they died at the hands of the researches they trusted. 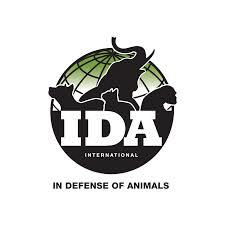 Please sign the petition to urge the USDA to inv estigate the institution immediately and fine them for any breaches of research procedure. Pledge: Stop Promoting Violence Against Animals! Good parents tell their children not to hurt animals. So why has Rockstar Games published a new version of Grand Theft Auto that promotes running over and beheading animals and other acts of pointless cruelty? The animals rights group, In Defense of Animals, has rightly called a boycott of Grand Theft Auto V because it basically paints a target on the backs of all animals, both virtual and live. Let's face it: It is way too easy for somebody who runs over a helpless kitten in a game to do the same thing in real life. And there is some evidence that people who can't get their hands on a copy of the game are targeting animals in the real world for violence. Grand Theft Auto is one of the most popular video games of all time. It's time for its publisher to take some ethical responsiblity for its content. Tell Rockstar Games not to promote violence to animals in its games! It was later determined that the original owner of the dog had to give her up due to breed restrictions. According to media reports, the owner decided to put the dog, named Kiya, up for adoption on Craigslist. Craigslist is often a go-to source for animal abusers looking for victims because it is anonymous and there is no accountability or screening process like regular shelters and rescue groups provide. I'm asking Craigslist to stop these re-homing posts, or only allow registered shelters and rescues to post adoptable pets so it is never again a part of tragedies like what happened to Puppy Doe. 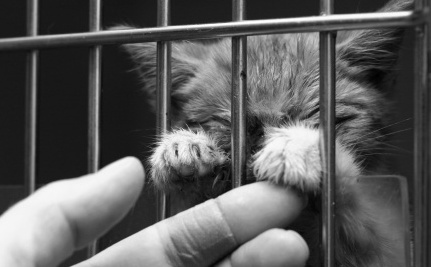 Help protect cats from pain and suffering! Washington University in St. Louis needs to make a change. It is currently the only civilian medical center that requires pediatrics residents to use cats when learning how to insert a breathing tube in a human infant. This procedure is inhumane and especially cruel considering that almost every other medical center in the U.S. uses cruelty-free human infant simulators. While Washington University does use simulators when training practicing physicians, pediatrics residents are still required to work with cats. 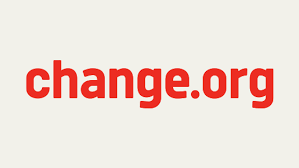 Pledge: You have the power to create change. Protest Stray Cat Hunting in Switzerland! This post is a Care2 favorite, back by popular demand. It was originally posted on January 1, 2013. Enjoy! State law requires all towns and cities in New York (with the exception of NYC) to employ dog control officers. Enforcing animal control laws safely and humanely requires special skills and knowledge—but no training is currently required to become a dog control officer. Unfortunately, lack of training has resulted in poor animal care and even cruelty convictions across the state. 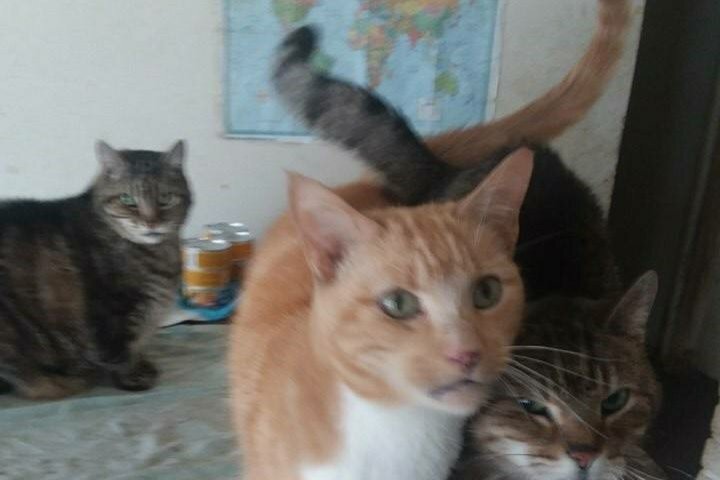 In Lackawanna, one untrained officer shot and killed a cat and two kittens. A dog control officer for the town of Hoosick recently pleaded guilty to shooting stray dogs and burying them in his barnyard manure pile. Thanks to your calls and emails, the New York State Legislature has passed A.1657-E/S.3537-D, legislation that would equip municipal dog control officers with the education they need to do their jobs effectively—and humanely. It now needs only Governor Cuomo’s approval to become law. If you live in New York, please contact the governor and ask him to sign this humane legislation. Visit the ASPCA Advocacy Center online to quickly call and email Governor Cuomo and urge him to sign this commonsense bill into state law. Thank you for your help, New York! Urge Gov. Cuomo to Sign Pet Dealer Bill into Law! Empower Local Governments To Protect Animals! 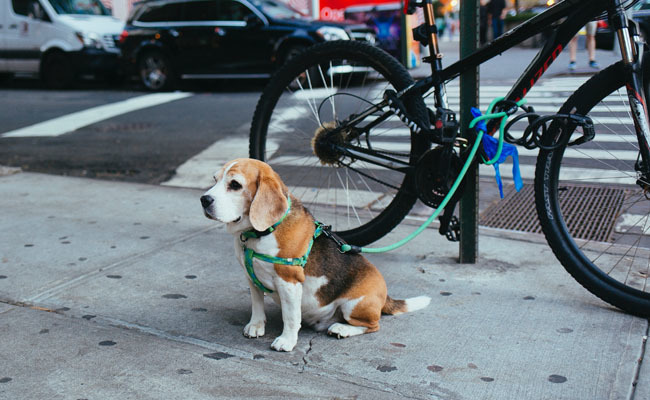 An ASPCA-supported state bill to allow New York’s local governments to regulate “pet dealers”—a term encompassing pet shops and breeding facilities—has already passed the New York State Legislature will soon be on Governor Cuomo’s desk for his approval. Help push this bill over the finish line by urging the governor to sign it into law. New York appears to be the only state in the U.S. that expressly prohibits local (city/county) governments from augmenting the state’s ineffective law by regulating puppy mills and pet stores themselves. But if towns and cities across the state want to do better for their residents, their animals and their bottom lines, they should be allowed to do so! It’s time to fix this irrational, outdated law. Please be the animals' voice—urge Governor Cuomo to sign NY A.740-A/S.3753-A into state law. Visit the ASPCA Advocacy Center today to send a quick message to Governor Cuomo letting him know that this law is important to you. And don't forget to pass this on to friends and family who live in the Empire State! Thank you, New York, for standing up for your state’s animals. 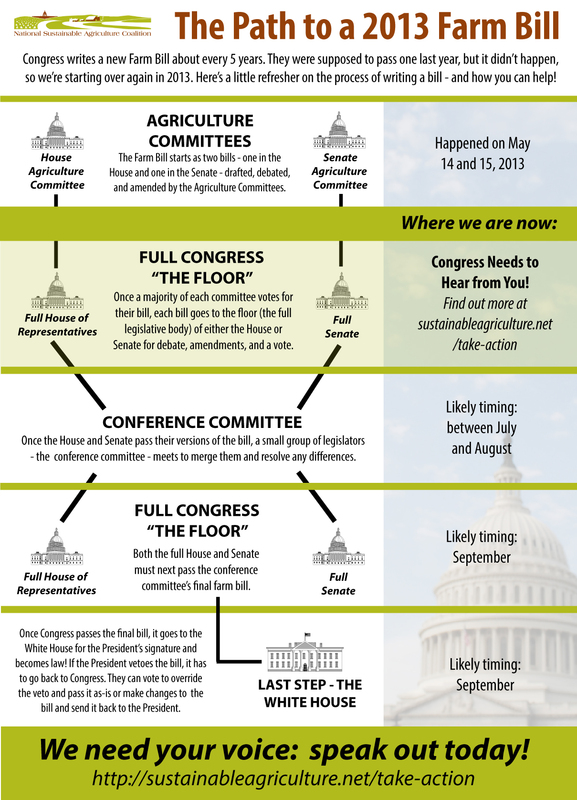 The U.S. Senate and House have each passed their own versions of the Farm Bill, and soon a joint committee of senators and reps will meet to iron out the differences and present one final bill. Authored by Rep. Steve King of Iowa, the King Amendment is an unprecedented assault on states’ sovereign rights to pass laws that protect animals on farms, in puppy mills and elsewhere. Even more alarming, the King Amendment could strike down many existing state animal cruelty laws, leaving some animals with no legal protections. Please don’t delay—visit the ASPCA Advocacy Center to quickly contact your members of Congress in Washington, D.C., and ask them to urge their colleagues working on the final Farm Bill to strike the King Amendment. Thank you for your help! Take Action Now! For most females, becoming pregnant is a joyous experience, bringing with it all the hopes and joys of delivering a precious newborn into the world. Not so for female pigs in Canada. Pledge: Tell Congress to Ban Horse Slaughter Once and for All! Please Act Now, Horses in Danger! On Friday we learned that the U.S. Department of Agriculture approved an application for horse slaughter inspections at a plant in Roswell, New Mexico, and grant inspections at horse slaughter plants in Missouri and Iowa this Monday, July 1. It is now more urgent than ever that we stop the slaughter of American horses for good! The Safeguard American Food Exports (SAFE) Act will, at long last, prohibit the slaughter of horses for human consumption in the U.S. and ban their export abroad for that purpose. Visit the ASPCA Advocacy Center online right now quickly email and call your U.S. representative and senators. Urge them to support and cosponsor the SAFE Act, or, if they have already signed on as cosponsors, thank them for standing up for horses. Imagine your dog is stolen only to become someone's meal. That is the horrifying reality in Thailand where family pets and street dogs are being rounded up, thrown into overcrowded crates and transported to nearby countries including Vietnam. Their destination? Someone's plate. These dogs are put through unimaginable strife as they endure dehydration, starvation and exposure to diseases ranging from rabies to E. coli. They are later inhumanely killed and traded or sold to markets and restaurants for profit. We cannot allow these atrocities to continue. 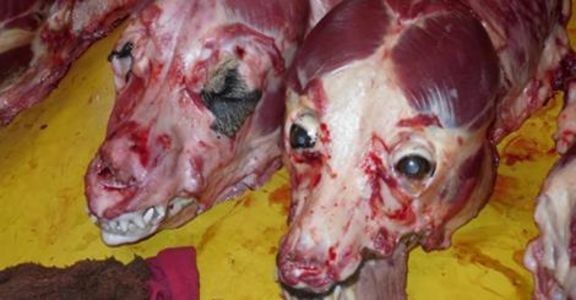 Call on the Vietnamese government to crack down on the import of dogs for meat and work with the media to educate consumers on the dangers behind their "lavish" meal! . Misuse of antibiotics on factory farms contributes to antibiotic-resistant infections. Superbugs like MRSA already kill tens of thousands of people every year! Animals on factory farms are fed antibiotics in low doses, helping them grow faster and endure crowded, dirty, stressful conditions. This intensive use of antibiotics is breeding dangerous antibiotic-resistant bacteria — "superbugs." Using antibiotics on healthy farm animals is making us sick. When contracted by humans, superbugs can't be treated with medicine the way we rely on. They can require antibiotics with greater side effects and lead to longer illnesses, more hospitalizations, and even death when treatments fail. The meat industry needs to clean up its act, before more deadly superbugs spread! Speak up to say you want to stop the out-of-control use of antibiotics on factory farms! The 4 H Club partake in multiple livestock auctions every year. During this outdated and heinous activity cows and pigs are prodded onto platforms, local supermarkets crowd around the stage to place bids and send these animals off to slaughter at inhumane facilities. The 4 H Club allows these animals to be taken from farms where they are free to graze and roam and be sent to inhumane slaughter houses. We need to send a message, inhumane slaughter is wrong! I would like to petition the 4 H Club to either stop this cruel and belittling act of auction or to ensure that the animals that are sold only be sold to certified humane facilities. Please sign and help end, even if only a small part, of suffering.Let's join together! Thank you!! Dear Facebook: As an animal protector I am shocked and appalled that the "I Hate Dogs" page is back up. Please remove animal hate pages like your "I Hate Dogs", the "Cat Recipe Page", or the Wolf Barbecue" pages from Facebook. Animal hate pages need to be removed and blocked from Facebook. It is a proven fact that people that hate and harm animals eventually hate and harm humans. Children that learn to harm animals proceed to injuring people as well. 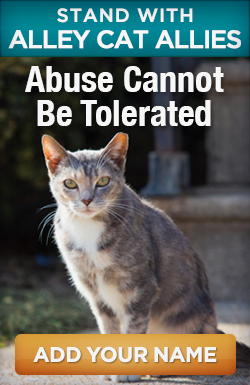 We know that those who abuse animals are more likely to be violent toward people too. 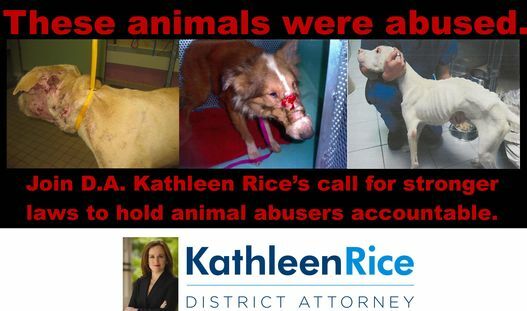 Kathleen Rice has proposed new legislation to modernize our animal crimes laws, protect the voiceless and defenseless, and hold animal abusers accountable for their despicably cruel crimes. To get this critical legislation passed in Albany, she needs your help. More than 1,000 people have already signed my petition to encourage lawmakers to pass our bill. Please show your support by signing the petition today. After you and your family sign, please forward this link along to all of your friends to help us send a strong message to the New York State Legislature. As always, thank you for your support and I know that together, we can stand up for those who cannot stand up for themselves. Bear baiting is one of the world's most savage blood sports. It's shocking that the practice is still allowed to continue. Bear cubs are captured from the wild for use in bear baiting. During these displays trained fighting dogs attack a tethered bear whose claws and teeth have been removed. 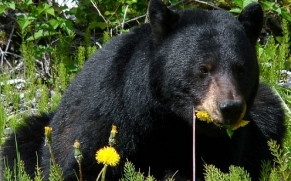 This practice endangers wild bear populations and causes extreme suffering to bears and dogs. 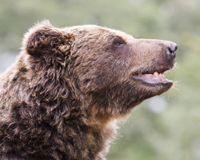 Pledge to end bear baiting and animal cruelty! The silver lining to this dark cloud is that animal protection groups are working to end this practice. They are helping wildlife officials stop the fights, rescuing bears and moving them to sanctuaries, and increasing education and awareness while finding alternative sources of incomes for the communities that still practice bear baiting. These animal protection groups still need your help. Add you name to the pledge to show your support for their mission. By adding your name, you will be helping to stop bear baiting and ending cruelty towards all animals. 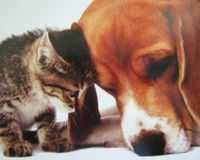 Join me and together we can build a world where animal cruelty has ended and animal welfare matters. Sign this petition to tell restaurants to "Stop Serving Dog Meat!" Dogs (and cats) are suffering horrific cruelty because of the Dog Meat Trade in South East Asia. Dogs are piled on top of each other in tiny cages for days, and then boiled alive, electrocuted or beaten to death. How can we stop this horrific cruelty? One answer is to slow the demand for meat by convincing local restaurants to stop buying and serving dog meat. 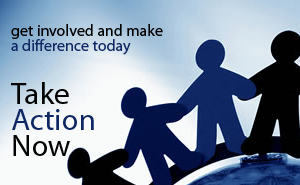 Please help us support local organizations in South East Asia employing this critical tactic. Sign your name and we’ll provide this list of thousands of names to organizations trying to convince local restaurants to stop buying and serving dog meat. If we use our voices collectively the impact will be so much greater and this shocking cruelty will cease. Please, sign the petition and tell all restaurants with dog meat on their menu to "STOP serving dog (and cat) meat!" A Long Island town wants to shut down a crucial wildlife rehabilitation group over keeping ducks and turkeys in town. Sign today to have your signature delivered this Tuesday. 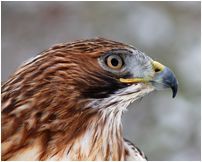 Pale Male, the red-tailed hawk of Central Park, was the first hawk known to build its nest on a building rather than in a tree. He's lived in the city for more than two decades now and produced many offspring -- many of which have survived thanks to the work of Wildlife in Need of Rescue and Rehabilitation (WINNOR). Did you know that the U.S. military employs a military working dogs (MWDs)? These faithful animals are classified as equipment. MWDs courageously save lives on the battlefield every day, and their loyalty and bravery are second to none. The Canine Members of the Armed Forces Act (H.R. 1043, S. 2134) would give these creatures what they deserve - better transportation and adoption practices, care in retirement, and formal recognition of their military service. Take action today. Tell Congress to reclassify MWDs as official members of the Armed Forces and Sign The Petition! Although 80 percent of Americans support a ban on horse slaughter, more than 100,000 horses are sent to their grisly deaths in foreign slaughter plants, while the menace of domestic plants reopening continues to threaten American communities. Federal legislation is critically needed to end the slaughter of American horses and to protect consumers from toxic horsemeat. Please make a brief, polite phone call to your two Senators Kirsten E. Gillibrand (202) 224-4451 and Charles 'Chuck' E. Schumer (202) 224-6542, and Representative Steve Israel (202) 225-3335, urging co-sponsorship of H.R. 1094/S. 541, the Safeguard American Food Exports (SAFE) Act. This legislation will prevent American horses from being slaughtered both here and abroad, protect our country’s consumers, and our export reputation. Send a follow-up message to your legislators here» Sign the pledge today, and join animal lovers across the country in supporting the Keep Michigan Wolves Protected effort. Wolves were protected under the Endangered Species Act for decades and are only now starting to recover. But sadly, hundreds are being hunted and trapped in Idaho, Minnesota, Montana, Wisconsin, and Wyoming. Now, Michigan has passed a law to add to this carnage. And Michigan voters are fighting back to have their voices heard and prevent the slaughter of hundreds of wolves, often using painful methods such as steel-jawed leghold traps, for trophy collections. Keep Michigan Wolves Protected, a coalition of humane societies, Native American tribes, conservationists, and wolf biologists, is seeking to place a referendum on the Michigan ballot in 2014 to protect wolves from senseless recreational killing. Please help protect this iconic species. Sign the pledge today, and join animal lovers across the country in supporting the Keep Michigan Wolves Protected effort. 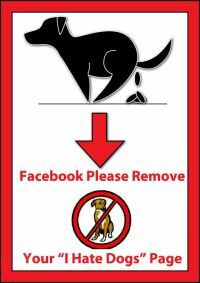 REMOVE FACEBOOK SITES THAT PROMOTE INTENTIONAL ANIMAL ABUSE!! This is FaceBook's description of "Graphic Content": " People use Facebook to share events through photos and videos. We understand that graphic imagery is a regular component of current events, but must balance the needs of a diverse community. Sharing any graphic content for sadistic pleasure is prohibited." Dutch the service dog was beaten for several minutes before he bit his attacker. 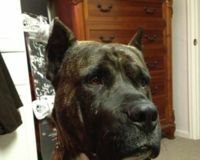 Now, a Colorado court has ordered him euthanized for this act of self-defense. Save Dutch from Death Row! USA: Puppy Mill Dogs Need Your Help—Close Loophole Allowing Internet Mills to Operate Unregulated! Action Needed: Please use the form here to submit your comments to the USDA. Tell the agency that you support the proposed rule to close a major loophole in federal regulation of puppy mills. 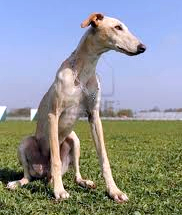 Spanish Greyhounds Deserve Homes, Not Desertion! 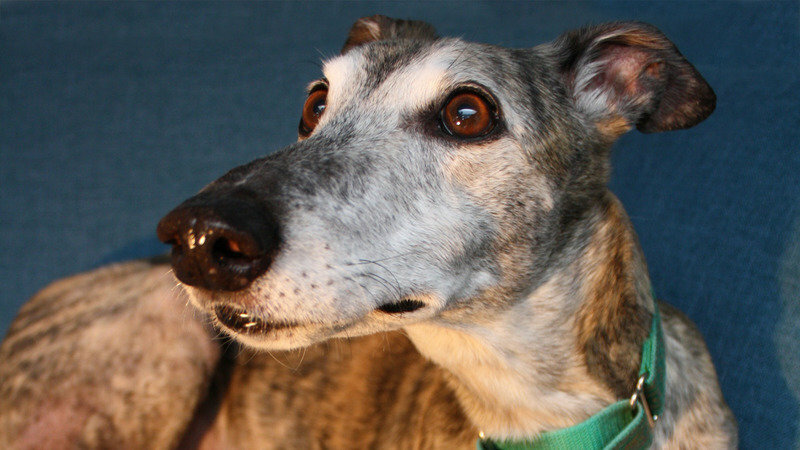 Action Needed: Spanish greyhounds are beautiful dogs with a long history of being raised as hunting companions. This tradition continues today, but has taken a tragic turn. Often, as soon as hunting season is over, Spanish greyhounds are abandoned, discarded by their owners like garbage. Instead of being loved and cared for, these loyal pets are left to wander the streets underfed and abused. During their short lifetimes these dogs are treated solely as property and do not receive human contact. When it's time to get rid of them, the hunters simply let them free to fend for themselves, or worse, hang them. They often watch for entertainment. Help end this outdated and senseless practice. Today, implore Prime Minister Mariano Rajoy to improve Spain's animal protection laws.